If there was one skill in reading that I’d say that every one of my students is weak in it’s fluency. Even my strong readers and strong comprehenders (is that a word?) aren’t where they should be. They either lack expression, or they read in such short phrasing groups that their reading is choppy. We do some work on this together. As a whole class, we have poems in their daily binder and when we have a few extra minutes students orally read one of them. And, of course, we work on it during small group instruction as well. But I also want students to practice it independently since that really strengthens their skills. One day each week students go to the Fluency Bin as their center. 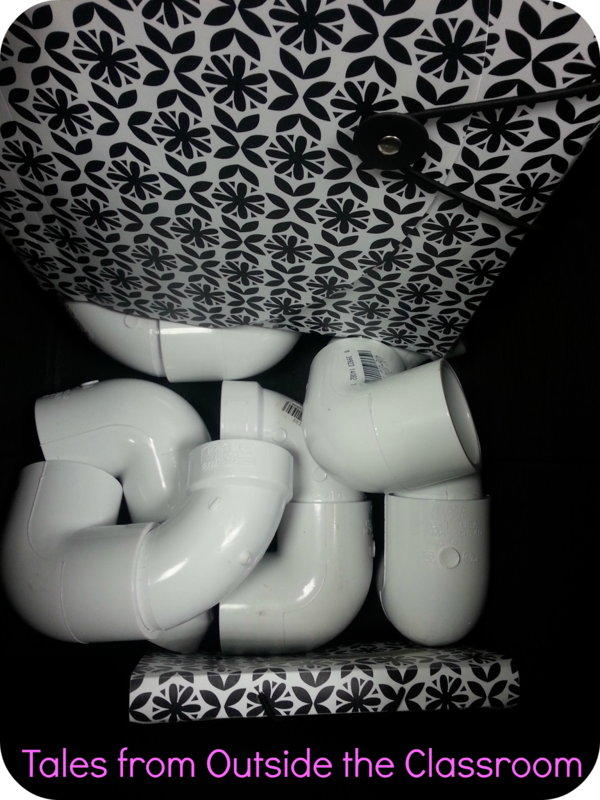 In the bin are 6 whisperphones, a large document organizer, and 6 mini coupon organizers. Students can take one small organizer to work on the cards, or take a stack from the large organizer. You can read my post on making my whisperphones using PVC by clicking the image above. Rather than buying expensive commercially purchased whisperphones, I just made a bunch out of PVC I got from my hardware store. I really think having the whisperphones is crucial so students can hear themselves. They’re aware of what a fluent reader sounds like, and the more they can hear themselves reading- really listening to themselves- the more they’ll become comfortable and confident. I think whisperphones are key to building fluency in students. There are a few different resources in the Fluency Bin with a few different focuses. 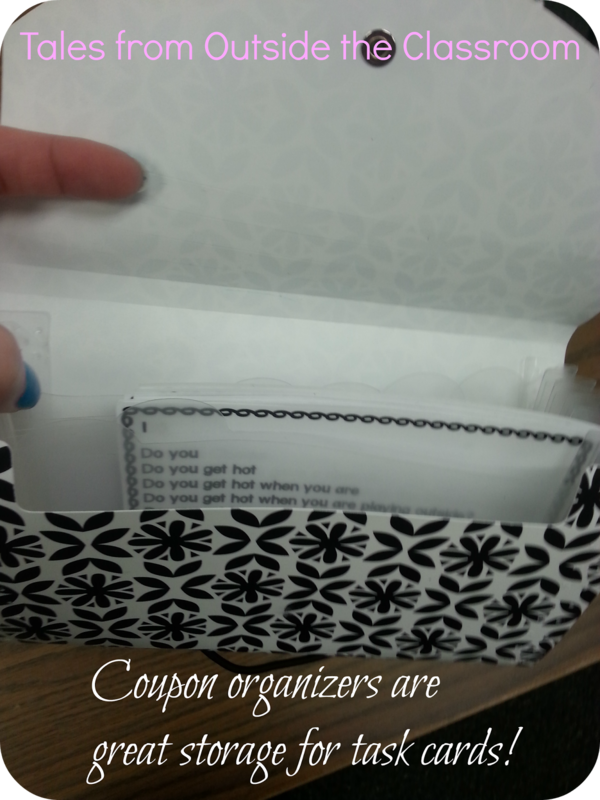 In the coupon organizers are a set of my phrasing task cards. Research shows that doing repeated readings of short passages helps build students’ phrasing and expression. I also designed these to have a few sentences on each card so that students practice appropriate phrasing in relation to punctuation. I don’t know about you, but my students like to run right through periods. You can click the image above to check it out in my TpT store. I love to use poems to build fluency because the rhyming and rhythm really help students get a feel for fluency. Plus, they’re generally pretty short so students aren’t overwhelmed and don’t get bored with it. I’m also thinking I’ll laminate some Shel Silverstein and some Jack Prelutsky poems and add them to additional sections. In another section, I have the large sentence sheets from Falling into First’s Autumn Flash Fluency. Because students only go to the bin once per week, or as their choice as a fast finisher, they haven’t gotten too bored with the options that are there. I will be changing out the Flash Fluency sheets with each season, and will swap out the phrasing cards after a while as well. I monitor my students’ performance with fluency by using my Fluency Rubrics. I created these a while back to track students’ performance with the 3 fluency components: prosody, accuracy, and automaticity. To see more about the rubrics, click the image below. 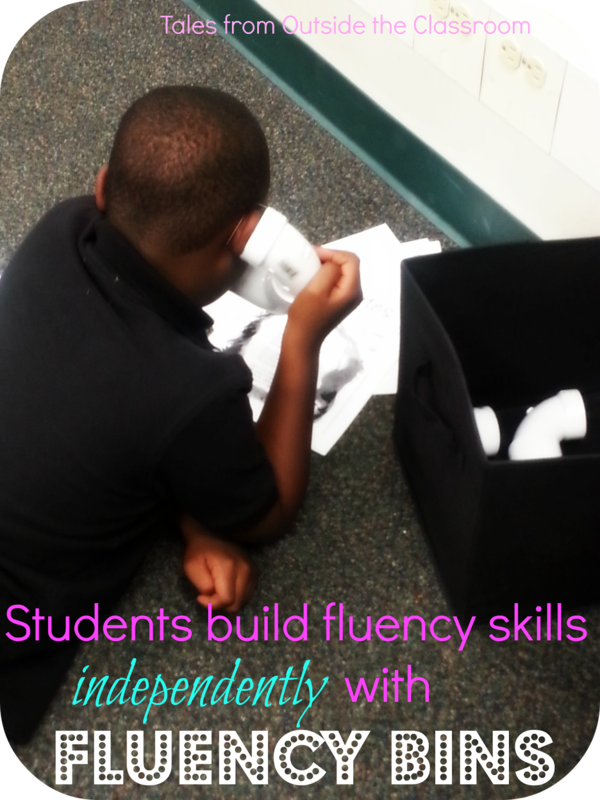 How do you have your students build their fluency during independent time? I’d love some more ideas and resources! I really like the idea of the fluency center. I have some whisper phones, so all I need to do is get some of the work to go with it. Thanks for sharing! I love the idea of keeping task cards in a coupon organizer! Genius! For fluency practice, I have kids re-read easy books that they love. I will also work one on one with kids and have them minic me as I read a sentence with expression. But I may have to implement your fluency station! I love this idea! My son is a 3rd grader and struggles with fluency as well. It's a battle when it comes to reading. I want him to be confident and love reading. It's refreshing to know that I'm not alone. Thank you so much for all your helpful ideas.